As the clock struck midnight on the Balmoral hotel clock my day had begun, I went home after a few drinks in Tigerlily with my boyfriend’s sister, and after a brief time sleeping, awoke to some catching up of my fave TV shows. 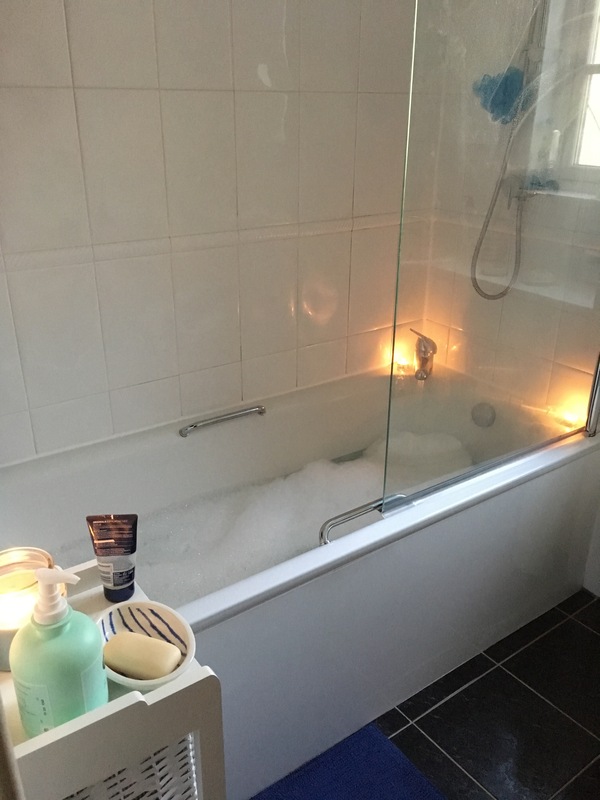 Gavin was out all day so it really was a me day which I think is really important to have, especially when you’re in a relationship, so that you can take some time to miss the other person and appreciate what makes you tick. 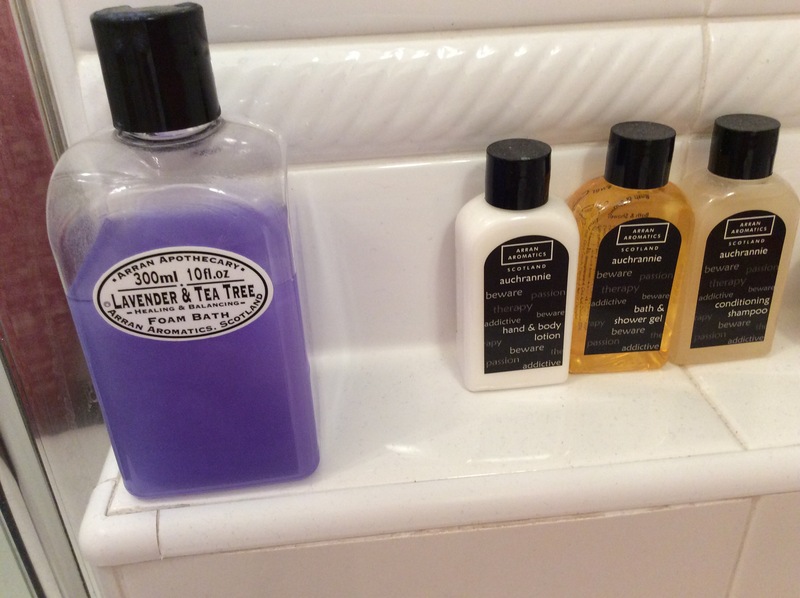 I started off with a soak in the bath using my ‘made in Scotland’ lavender Arran Aromatics bubble bath. 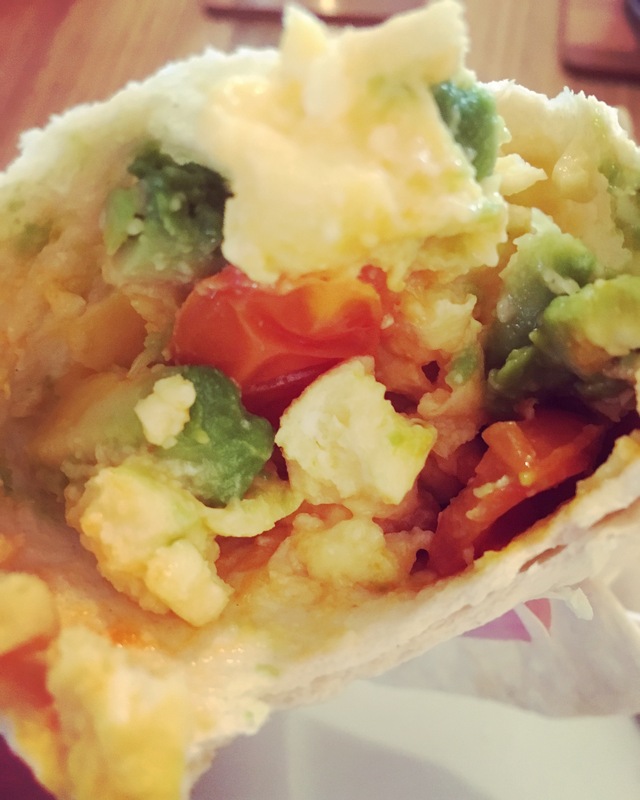 Breakfast was a very scrumptious breakfast burrito consisting of scrambled egg, avocado, grilled cherrry tomatoes and some chorizo, it was exactly what I needed and it’s so easy to rustle up from the contents of the fridge. I love breakfast/brunch style cooking and eating of course. 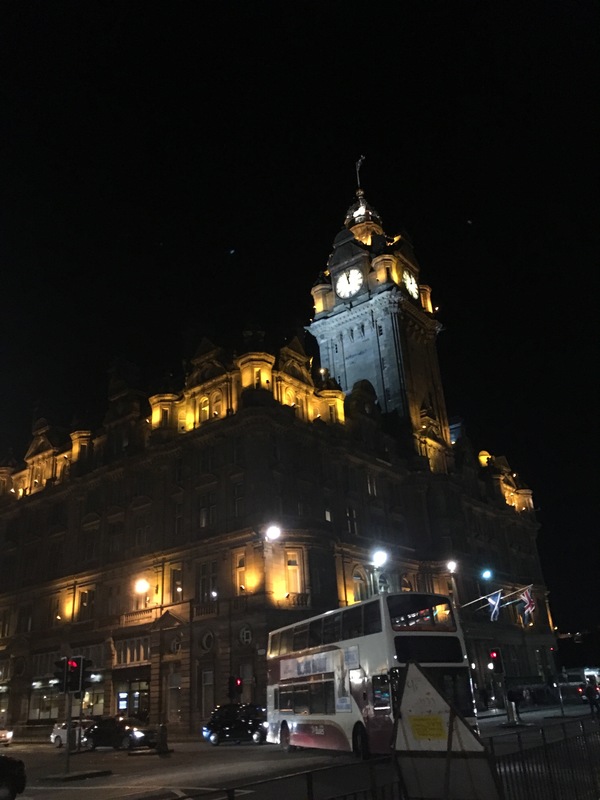 Living in Edinburgh’s west end, I live really close to some of Edinburgh’s fantastic architecture, shopping, eateries, theatres and museaums. I’m the first to admit that sometimes I don’t appreciate it as much as I should and today was a day for me to connect with my city just me and it. 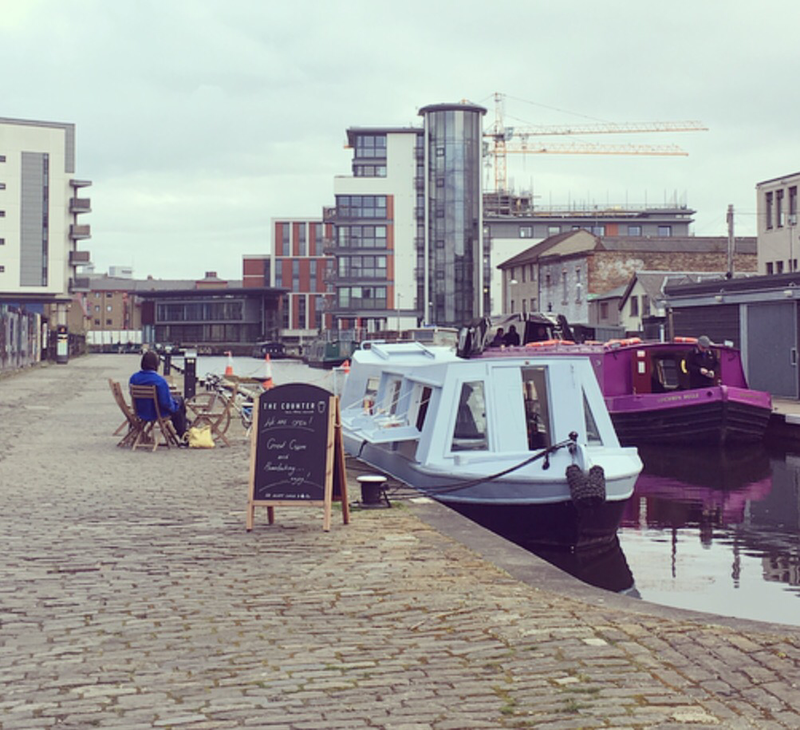 I’ve been wanting to go to ‘The Counter,’ Edinburgh’s only coffee shop on a Rosie & Jim style canal boat, for so long but I wasn’t in the mood for a coffee in the early afternoon but definitely another time, I’ll be taking a leaf out of the woman on the chair’s book. Meltmongers in Bruntsfield has been on my munch list for a while now and with the sun shining it was the perfect opportunity for me to get a quick bite before the theatre matinee showing of ‘Anita & Me‘ that I had spontaneously booked to go see. 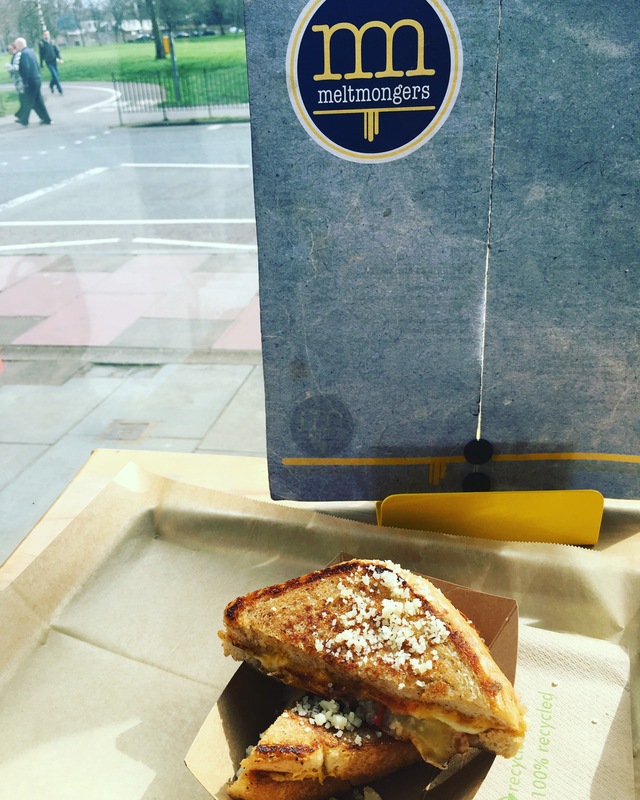 I perched myself at the window and quickly devoured ‘The Big Cheese’ – Mature cheddar, American & Gruyere cheese with sweet tomato and chilli chutney whilst reading a magazine and enjoying the view of Bruntsfield Links. Afterwards I chilled on a park bench while the sun was beating down on my face in the links. 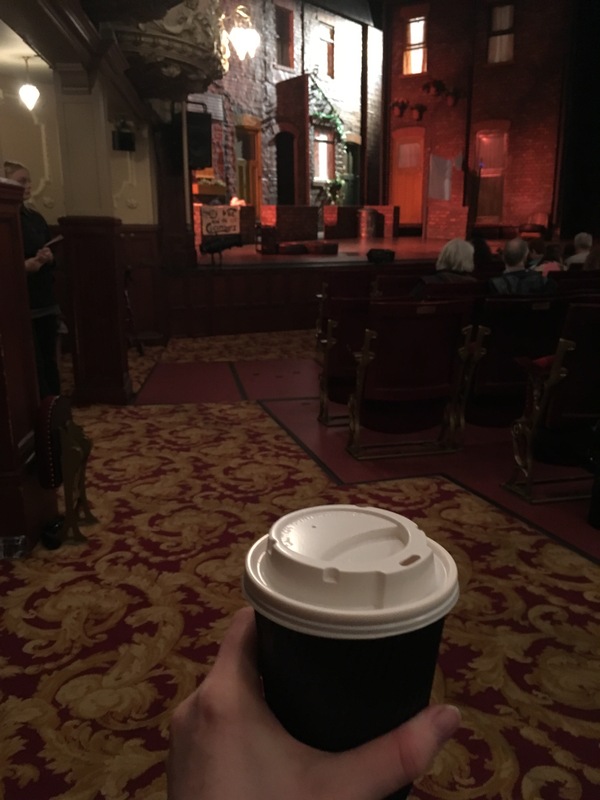 Thanks to my friend Michelle, I’ve developed a new found love for Earl Grey tea with a splash of milk, so I popped into the cutest Internet cafe across from the King’s theatre – I’m embarrassed that I don’t know the name of it but I’ve been twice in the space of a week! As I waited for the show to begin, I took in the beautiful surroundings of the theatre. I’m proud to say that I have performed on the King’s stage twice in my life and having been to a few shows there recently, it’s spacious yet cozy feel made me realise that it’s probably my favourite Edinburgh theatre. Anita and me was great fun and it kept me captivated the whole time, I remember watching the film ages ago. Unfortunately today was their last show but there’s so many good shows coming to the King’s that I’m excited to see. I was planning a night curled up in my duvet with a film or new TV series so I’d posted on social media for some inspiration from friends, out of the blue I received a message from my friend Lindsay who I hadn’t spoken to in ages. Lindsay and I met at a cake course a couple of years ago and she asked if I fancied a coffee after the show. 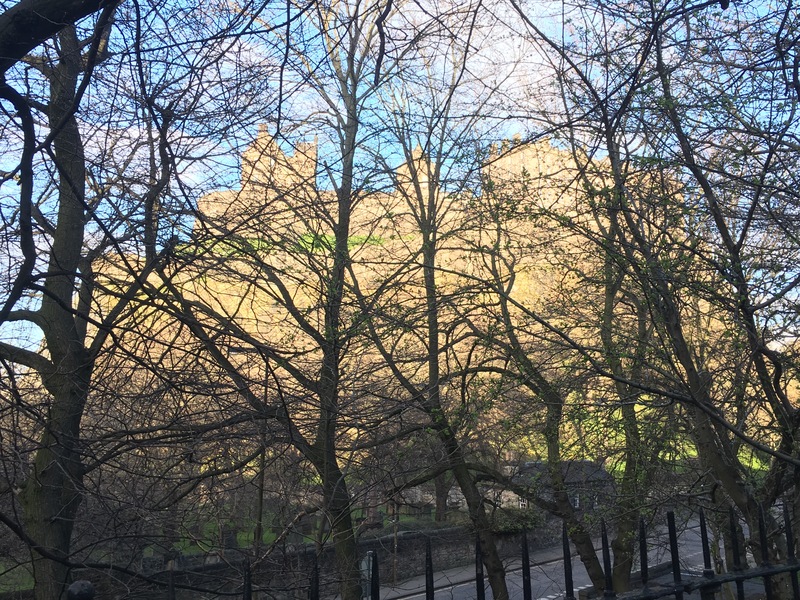 This impromptu meet up turned into dinner and we took some beautiful photos of Edinburgh castle in the sun before heading to Wagamama for some pad Thai (there’s a new Edinburgh Wagamama opening soon in St Andrew’s Square). 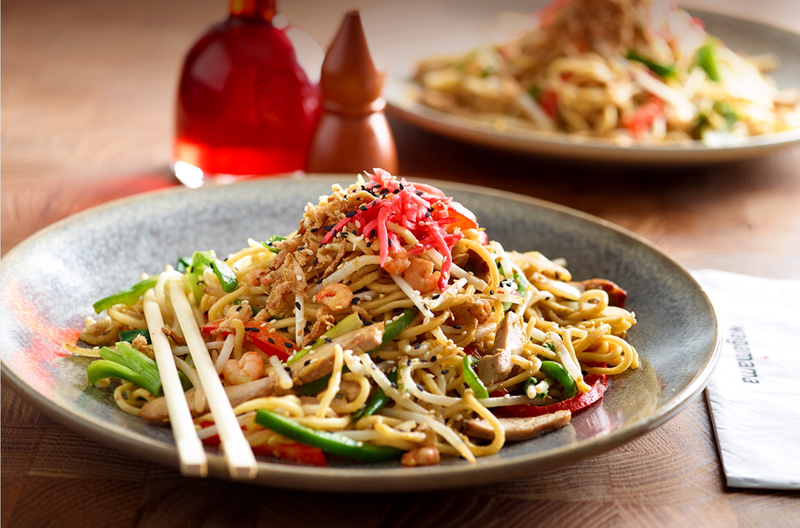 Can you believe me as a food blogger, I forgot to take a photo of my food so I took a screenshot of Wagamama’s official picture and it looks exactly the same, it was so welcome I loves the flavours! Today has been a breath of fresh air, full of chilled out vibes and laid back attitudes. 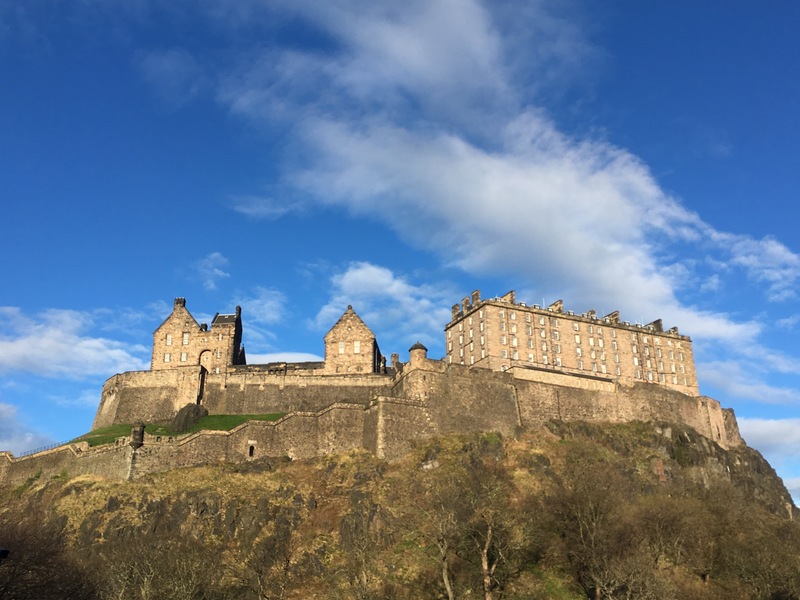 I love all Edinburgh has to offer and the fact you can do it all solo if you want to or allow a friend to invite you to do something with only a matter of minutes notice. 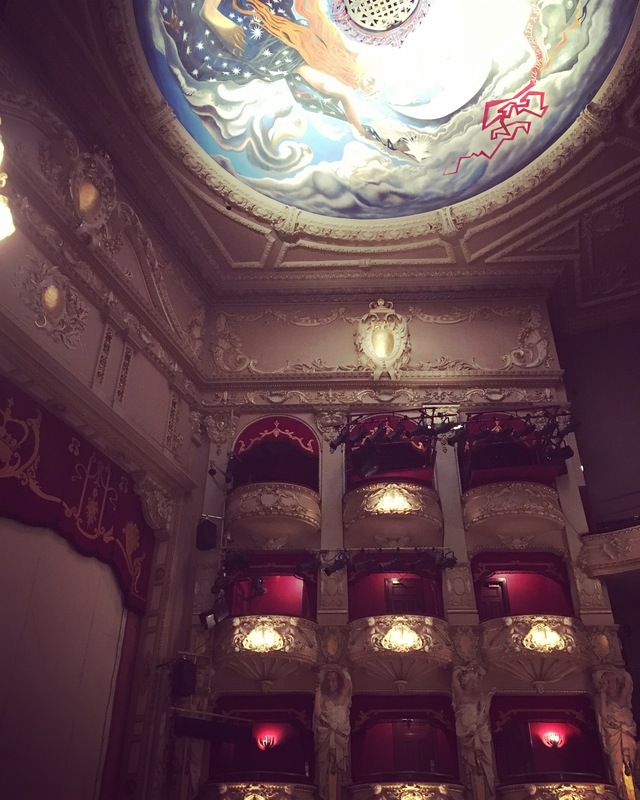 This entry was posted in breakfast, Brunch, Bruntsfield, Dinner, Foodie, Lunch, Scottish, Tea, theatre, Toastie, Uncategorized and tagged bubble bath, chill time, Coffee, food, Me time, shopping, Tea, theatre. Bookmark the permalink.